CCTV system can be a great addition to any business to facilitate growth. This tool can encourage efficiency in the workplace which means positive progress for any business. CCTV requires low maintenance, cost-effective, and requires easy installation. If business owners decide to harness the power of these systems, they can take their businesses to a higher level. So, how can they achieve that? Below are ways through which CCTV installation in office contributes to the growth of a business. 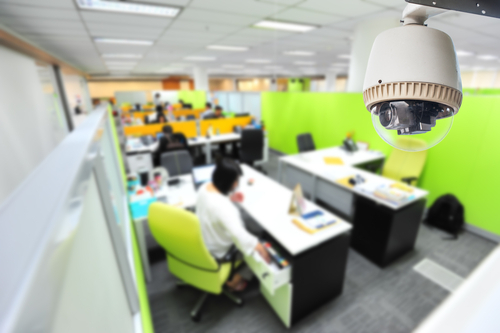 Installing CCTV systems in the office can prevent the occurrence of immoral actions which can give your business a bad reputation. Such activities include sexual, verbal, and physical harassment. An office prone to such acts can instil fear in workers and lower their morale thereby reducing productivity. Similarly, no customer will walk into your office knowing there is risk of being raped while walking in the corridors. When you have CCTV systems installed in office, no sane person can try such actions since they know they will be easily caught through the camera footage. This will give your employees and customers a friendly and safe environment which will boost their morale and increase productivity. Misuse of office resources can hurt a business. One such resource is the internet. Your employees may use it to stream videos all day long instead of using it learn innovative ways to grow your business. When you install CCTV in the office, they will know they are being watched and they won’t use office resources to do things they shouldn’t. They won’t use the printer wrongly, office chairs, or any resource in a wasteful or damaging way. How much do you spend on security personnel? Well, CCTV systems may be expensive to install but that is a one-time expense compared to hiring a security personnel. The maintenance cost you will need to keep the systems in good condition cannot be compared with what you will be parting with monthly as a salary to a security guard. CCTV installation in office will save you a great deal in the long run. You don’t have to keep walking around the workplace to monitor the progress of your employees. Technology advances have made things easier where the CCTV can be connected to your portable device to enable you to monitor the workplace regardless of your location. They work round the clock which gives you peace of mind knowing everything is in check. All you need is good network connectivity. Stealing of business resources whether data or material items is one thing that can quickly bring a company to its knees within a very short time. Employees can steal sensitive and confidential data and sell it to your competitors. Besides they can alter the data to compromise the results or effectiveness of the purpose, it’s intended for. A CCTV system can prevent all this since your employees know they are being monitored and won’t think of taking the risk. Instances of lost company assets or data will be history. Your business will not have to invest in replacing stolen items. You can invest that money in other areas to boost productivity. The customer is the greatest force behind the growth of any business. Installing CCTV in office can help you ensure your customers are satisfied by the service you give them. You can monitor how customers behave while in the office to gauge their satisfaction level. This helps you improve in areas that seem wanting for complete customer satisfaction. Remember a satisfied customer means high chances of repeat business which means increased productivity. How is the performance of your employees? Are they sluggish? How do they handle your customers? CCTV systems installation in office can make your employees work as they are required. They know they are being monitored and won’t risk their job by working sluggishly. After all, who wants to lose a job during such tough times? High performance means more productivity for your business. Number of cameras – Identify the key areas that needs installation to enable you know the exact number of cameras you require. Besides, some areas may need special cameras like corridors which may be dark meaning they require cameras with night vision capability. Analyzing your office first is the best way to go. 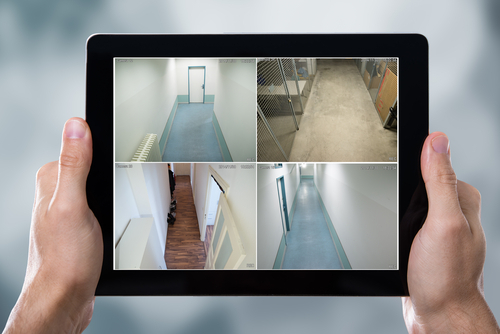 Suitable installation areas – Choose to install the CCTV in areas they can’t be easily identified or reached. You don’t want them to be removed or interfered with by employees or other persons looking to cover their acts. Camera stability – Ensure the cameras are on steady surfaces and face the right direction to ensure they don’t miss anything. Footage coordination – To easily identify cameras, give them labels. Labelling will facilitate smooth coordination and monitoring. Testing – To gauge the effectiveness of the system, run a test after installation. You will know whether you are getting the desired results and also rectify mistakes which can hinder the performance of the CCTV. Professional assistance - If you want to get the best out CCTV system in your office, you need to hire the service of a professional during installation. The experts have experience, skills, and tools to get the job the right way. You may think to do the installation by yourself will save you money, but you may end up spending more. You may damage the equipment during installation which means spending more to buy new ones and hiring a professional to install. So take a wise initiative and hire professionals first. 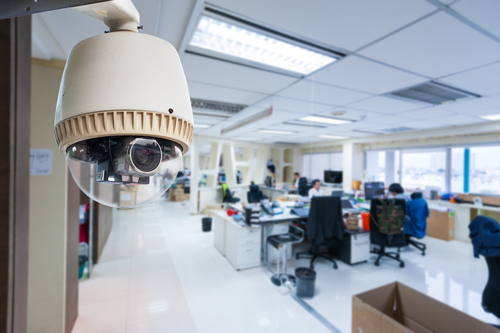 A CCTV in the office can help you grow your business. CCTV installation in office will give you an extra eye to monitor your business. This facilitates productivity since you can point out mistakes or malicious actions easily. When installing CCTV in office, remember to seek the assistance of an expert this field for an excellent service. Install the system now and watch your business grow!